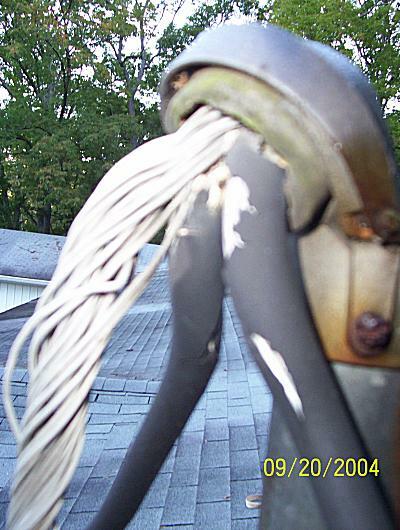 We found this one by accident, I looked up to see if we needed to replace the wires and found them in poor shape speaking mildly. after taken it down (with power turned off) we found that a couple of the strands of the netural had burnt into because of contact with one or both of the lines. 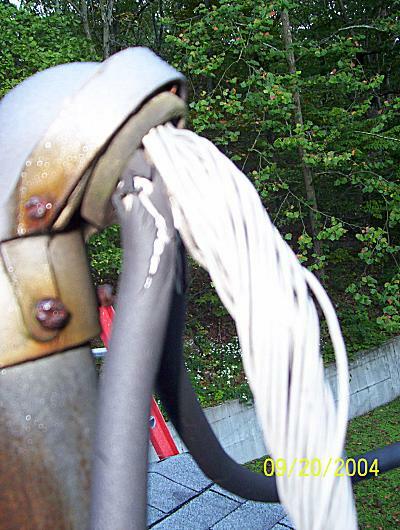 From the pictures it looks like way too much wire crammed into too small a conduit and service head. Do you know the wire ga. and conduit size, Jwww??? The conduit was 2" and the wire was 4/0. Would not even think of disturbing that. It reminds of the Pink Floyd The Wall movie with the cartoon meat grinder. I had exactly the same thought!.